On January 25, 1915, Alexander Graham Bell made the first transcontinental telephone call. 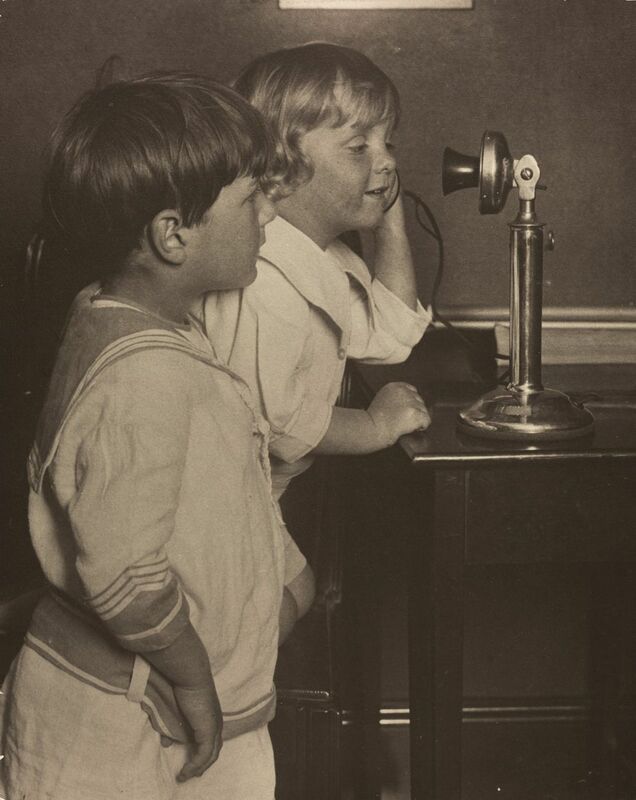 A brother and sister in San Francisco, California, talk to their parents on the other side of the country in 1916. This family conversation would have been impossible just two years earlier. On January 25, 1915, Alexander Graham Bell made the first transcontinental telephone call. Calling from New York City, Bell was heard by his assistant, Thomas Watson, more than 4,023 kilometers (2,500 miles) away in San Francisco: “Mr. Watson, come here, I want you.” This was an important milestone in the development of telecommunications technology. A device was revolutionary—it transformed sound into electrical signals, transmitted those signals through a wire, and then changed them back to sound again. This technology allowed business, industry, and government to communicate instantaneously by voice across extremely long distances. Today, more than 4 billion people on the planet regularly use a telephone, either landline models similar to Bell’s early design, or wireless and smartphones. Increasingly, voice communications are conducted over the Internet. network of cables or other devices through which electricity is delivered to consumers. Also called a power grid. important event or stage in development. mobile telephone with additional features, such as a web browser or music playing device. electronic tool and system for communication by sound or speech. extending across an entire continent. broadcasting of electromagnetic signals, such as radio waves, from a transmitter to a receiver.